Kim Edwards is the author of The Memory Keeper's Daughter, which spent 122 weeks on the New York Times bestseller list, was selected for a Barnes and Noble Discovery Award and won the Kentucky Literary Award for Fiction. Her collection of short stories, The Secrets of a Fire King, was short-listed for the PEN/Hemingway Award. Her stories and essays have received a National Magazine Award for Excellence in Fiction, a Pushcart Prize, and appeared in The Best American Short Stories, Ploughshares, Zoetrope, Antaeus, Story and The Paris Review. 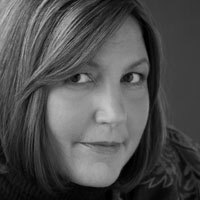 In addition to these honors, she has received numerous other awards including a Whiting Writers’ Award and the Nelson Algren Award. Two of her stories were performed at Symphony Space and broadcast on Public Radio International. Her highly anticipated second novel, The Lake of Dreams, is the story of a daughter confronting the deeply hidden, multigenerational secret about her family’s history. A graduate of the Iowa Writer's Workshop, she currently teaches at the University of Kentucky.